The lawn is often the part of the garden of which we feel proudest but sometimes it seems to take a disproportionate amount of time! 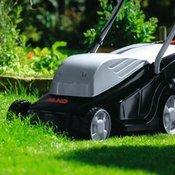 If you want to make your lawn the talk of the neighbourhood then our range of mowers, aerators and grass seed will help you on your way. A scarifier is a device which is used to cut through your lawn, removing and dead grass or unwanted moss. 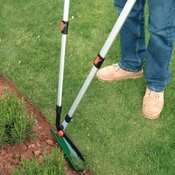 It aerates and helps to revive a tired lawn. The best time to use a scarifier is in the autumn or late spring, you should only need to do this once a year. 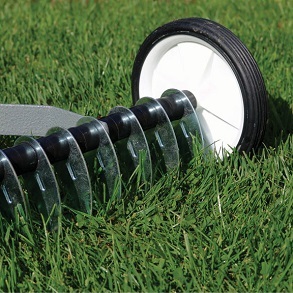 Make sure your turf is dry and cut it before scarifying, ensure the scarifier is on the highest setting and do lines and then again at a right angle. 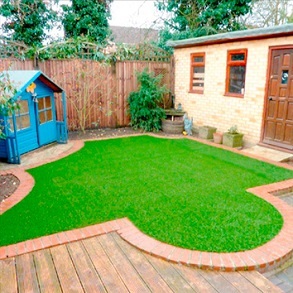 Scatter lawn seed to fill any gaps and you will rejuvenate your lawn.